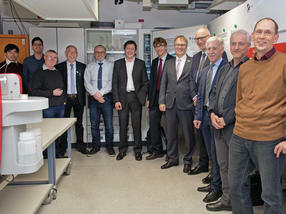 The Bundesanstalt für Materialforschung und -prüfung (Federal Institute for Materials Research and Testing, BAM) and Analytik Jena AG have agreed to cooperate extensively in the research and development of optical spectrometry in the area of elemental analysis. The two parties signed a corresponding cooperation agreement last week in Berlin. The focus of the two partners’ future research efforts will be on the development of new devices and applications for element determination. In this connection, the teams will work jointly on the further development of the principles and methods of high-resolution absorption spectrometry in order to determine ultratrace concentrations of atoms and molecules. Grilling with charcoal is definitely not an indoor pursuit!